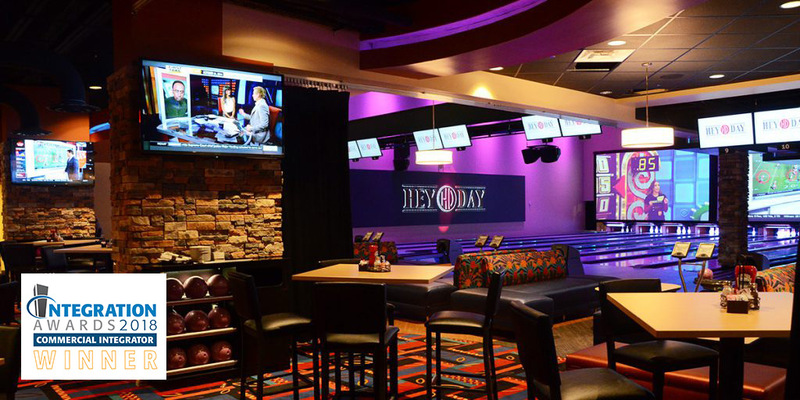 HeyDay includes two-levels with 16 bowling lanes and four private party rooms on the lower level, and eight bowling lanes and three private rooms on the upper level, along with an upscale lounge with a fireplace and island bar. 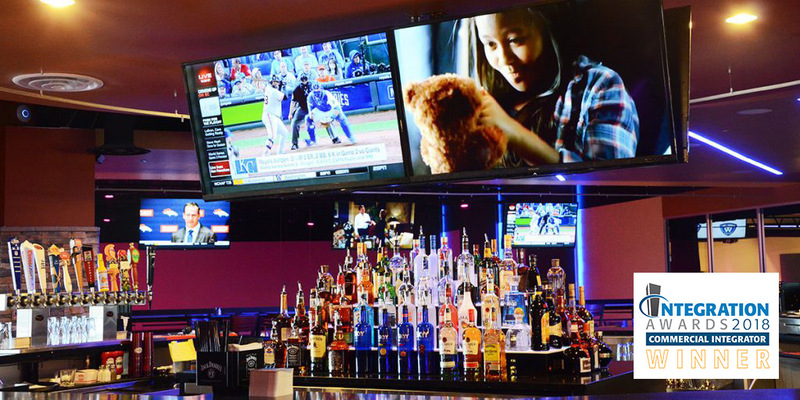 The entertainment venue has two twenty-foot wide custom screens with HD projectors across the first eight lanes, eight 1080p projectors spread out across the other 16 lanes downstairs and upstairs, two 1080p projectors located in the dining room and party room, as well as twenty-six HD displays ranging from 48” to 80”. High performance loudspeakers with subwoofers, ceiling and pendant speakers, and amplifiers are distrubted throughout the complex. 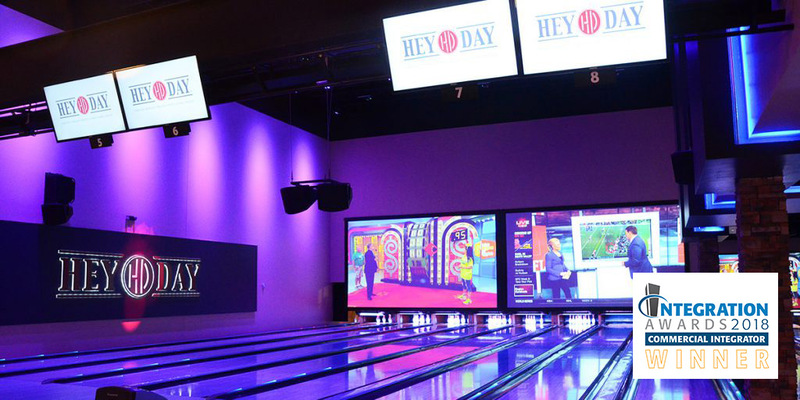 There are more than 100 LED lighting fixtures including, washes, movers, UV cannons and hazers that are controlled over DMX with a lighting control system.